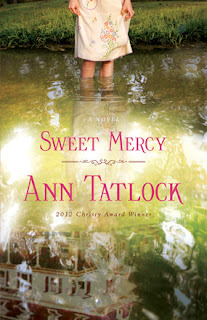 Laurie Here - Contemporary Fiction and MORE - Book Reviews: Sweet Mercy by Ann Tatlock - Review, Excerpt, and Giveaway! 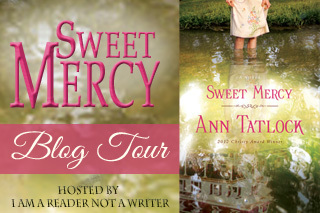 Sweet Mercy by Ann Tatlock - Review, Excerpt, and Giveaway! The book starts off with Eve taking her ten year old grandson to the Marryat Island Ballroom and Lodge. She sits down with her Grandson to tell him about her time there at the lodge back in 1931. In 1931, and the Ford Motor Company in St Paul Minnesota just closed down, leaving her father out of work. Eve did not like where she lived anyway because there were to many gangsters and she witnessed a murder. They get a call from relative in Ohio who owns and runs the Marryat Island Ballroom and Lodge telling them if they want work to move there and they can work at the Lodge. The decision was made. Eve was very happy. It is in Ohio that Eve, at seventeen, learns that what is right in life doesn't always follow the law. Her naive eyes are opened wide to a lot of things that happen, but life happens. People need to make money, and people come from many different backgrounds, too. Sometimes breaking the law, such as during this era of Prohibition is the only way for families to put food on their table. She knew there were bad things that went on, such as when they lived in St Paul, Minnesota, where she was so glad they moved away from but it was different here and she believed nothing like Minnesota. Although, here in Ohio she had her eyes opened by so many different types of things. Prohibition played a central role in Eve's story. At first what she thought was going to float down the river, like Castor Oil, was so strange until she finds out it was moonshine. She knew she could not report it to the authorities, yet she was challenged to, but did not or else her whole family would be broken up. This is where she starts learning that life and living life can be two separate things, but not necessarily wrong after all. Sometimes you have to do whatever you can to survive. Her naive eyes started to open. This book was a very enjoyable Christian Historical Fiction story. You could relate to the characters very well. It depicted that era of time exactly as it was. (I happen to have photos of my own Grandfather, other family members, and friends drinking moonshine and being drunker than a skunk. They are seen drinking out of the same, clear, large bottles without labels, and most of them were passed out every which way, some with their faces planted right on the floor.) Moonshine was the only way in which to put food on the table, or, when found, it was grabbed up because of the no liquor laws.) Were the men who had to do this proud? No, but it worked and they made a lot of money. It was something they 'had to do' and was not talked about because of the law. People turned their heads. Eve's family was not the only family doing it, either, little does she know. It was called survival and there was great demand for it. I believe Eve would have come to understand the 'why' of things over the time of her naivety. 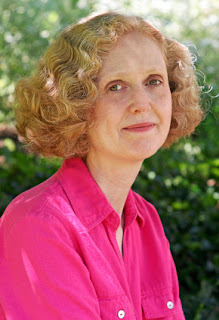 Hi Laurie, when I click on the Sweet Mercy link to add it to my good reads shelf I get an error message.